About the author: Dr. Riley J. Williams III, MD is an orthopedic surgeon, academic, and clinician-scientist specializing in the field of shoulder, knee, and elbow surgery. Since 1993, Dr. Williams has been affiliated with the Hospital for Special Surgery (“HSS”), the #1 rated Orthopedic Surgery Hospital according to U.S. News and World Report, where he is also Director of the HSS Cartilage Institute. Dr. Williams is inventor of Therma1™ and Chief Medical Officer, Head of Product Development, and Chairman of the Board of Directors of R2T2 Laboratories Inc., the company that markets Therma1™. Dr. Williams graduated from Yale College and Stanford Medical School, where he won top medical science research awards. Dr. Williams is team physician for the Brooklyn Nets and NY Red Bulls, and he has been associated with professional football and baseball teams. I am an orthopedic surgeon, sports medicine physician, advisor to elite athletes, and pro sports team doctor. I’m also a scientist. When I invented Therma1, I based it on the science of recovery. It is well documented that cold therapy or compression reduces inflammatory response. 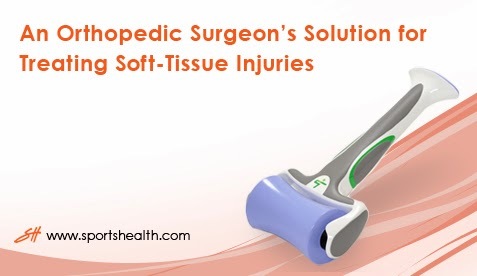 Recent studies indicate that soft-tissue compression combined with local temperature alterations demonstrate significant enhancement in the healing potential of soft-tissue injuries. It is also well known that heat therapy or compression/massage increase tissue compliance. Studies show that controlled increases in thermal temperature have a significant effect on the tensile properties of skeletal muscle, which results in increased joint range of motion and reduced muscle tension that help reduce potential muscle strain injuries. Other studies demonstrate that warm and more compliant muscles absorb more energy than non-stimulated muscle tissue, which results in improved resistance to biomechanical load. My observations of scientific evidence, decades of sports medicine experience including thousands of patients and surgeries, and dialogues with sports therapy experts such as pro sports athletic trainers, physical therapists, and chiropractors, led to the invention of the Therma1™ Hot Cold Roller. The goal of the design was to provide all four critical musculoskeletal therapy treatment modalities (heat, cold, compression and massage) in one portable, easy-to-use device – something that no other product on the market offered. The U.S. Patent Office recognized Therma1™’s innovative and unique qualities and granted a design patent last year. The Therma1’s size and shape was designed specifically to make it easier to treat hard to reach spots, as well as help pinpoint trouble spots and deliver trigger point therapy. In my experience, there was a lack of products on the market with this ability. Continuous-flow cold therapy machines? The dynamic nature of Therma1™ Hot Cold Roller treatment modality makes the likelihood of thermal injury very low. As a natural Performance Enhancement Device (PED) – Use Therma1 before activity to increase tissue compliance. Therma1™ should be used in regiments of two – ten minutes, usually in combination with static therapy. The treatment regiments should be repeated throughout the day as desired. Increases patient compliance (one of the leading drags on patient recovery time is noncompliance with prescribed therapies). Therma1™ comes in Recharge and Instant models. Therma1™ Recharge – Comes with two rollers. The rollers can be placed in the freezer or microwave. Therma1™ Instant - Provides portability and convenience with its Instant Hot and Cold packs. Each Therma1™ Instant model comes with one Recharge Roller, one Instant Roller, and a dozen Instant packs. The Instant Roller has a removable end-cap that accommodates a Therma1™ Instant Hot or Cold pack. Therma1™ Recharge (freezer) achieves colder temperatures than Therma1™ Instant (cold pack). When left in a typical freezer overnight, Therma1™ Recharge reaches sub 10 degree temperatures and holds a sub twenty degree temperature for approximately twenty minutes with recommended intermittent use (two – ten minute increments, followed by two minute “rest”). For best results when treating acute injuries, use the Therma1™ Recharge when possible. If you do not have a Therma1™ Recharge handy, Therma1™ Instant with Therma1™ cold packs can be used to decrease local tissue temperatures; studies show decreases in local tissue temperatures stimulate an effective anti-inflammatory response. However, I recommend Instant Cold packs be used only when a cold Recharge Roller is not available.